I started looking at law schools in the Detroit Metro region because I was offered and took a full-time job there. It was a wonderful opportunity to return to the area. I ultimately decided to transfer to WMU-Cooley Law School. It felt the most like home for me. It felt grounded. I could see that the professors really cared about the students. And the honors scholarship also made it the right economical decision for me. Once classes started, and despite coming in a little scared as a transfer student, I felt ingratiated and part of my class right from the get go. As a non-traditional student, I appreciated that there were a lot of other students who also worked full time. It was a refreshing change from where I previously came from. Most of the students were enrolled full-time, just coming out of undergrad, and had no previous work experience. It was different at WMU-Cooley. While there are plenty of traditional students, there were also many students like me. I especially admired those second career students who balanced work and family while going to law school. It was inspiring. My time at WMU-Cooley was highly punctuated by strong relationships with my professors. If I ever had a question after class, I knew that I could contact a professor at any time. They were dedicated about their career and their tenure as a professor. What really set them apart from any other professor I had was the fact that many of the professors were working professionals, with many years of practice experience. I knew going into a Contracts II class, for instance, I would hear war stories about something that was going on now and was relevant to the class. That’s how I personally learn the law best – through those examples. I would take a professor’s teachable moment in the classroom and apply them to my life – learning how not to make the same mistakes. The professors also understood that people had lives and believed in the law school’s mission of giving students practical skills and experience. Despite my work and law school schedule, I was able to still participate in the estate planning clinic for two semesters. What a wonderful experience. The professors encouraged me to try different things and to ask questions – to reach outside the box. Professors supported you every step of the way. I’ve always been somebody who wants to take on forms of leadership in my life, so I immediately became involved during law school. There are so many different organizations, plus tons of opportunities to be involved in your local or state bar associations. The law school really encourages that kind of involvement. 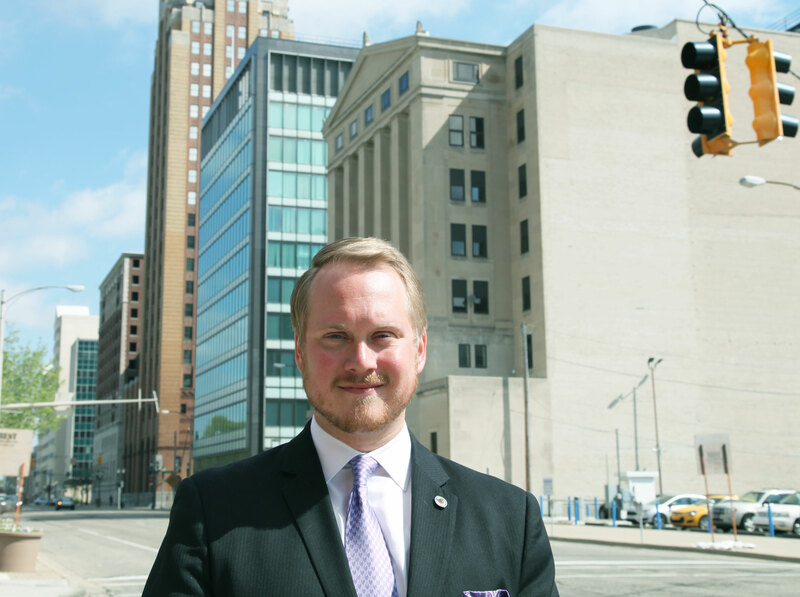 And I am still very involved as first-year attorney, including being a member of the Detroit Bar Association, Inns of Court, New Lawyer’s Council for the Oakland County Bar Association, and the State Bar of Michigan Young Lawyers Section Executive Council. My sense is that WMU-Cooley students have a confidence, and they aren’t afraid to venture into anything. And do it at 110 percent, as do all the professors. WMU-Cooley imparted in me to be a lifelong learner. I use my law degree every single day. It amazes me how many WMU-Cooley grads are involved in organizations and pro bono work. And it’s not just in Michigan. I’ve met fellow graduates in New York, Florida, California, just about everywhere. We touch all corners of the United States. It makes me proud to be a part of the WMU-Cooley network. 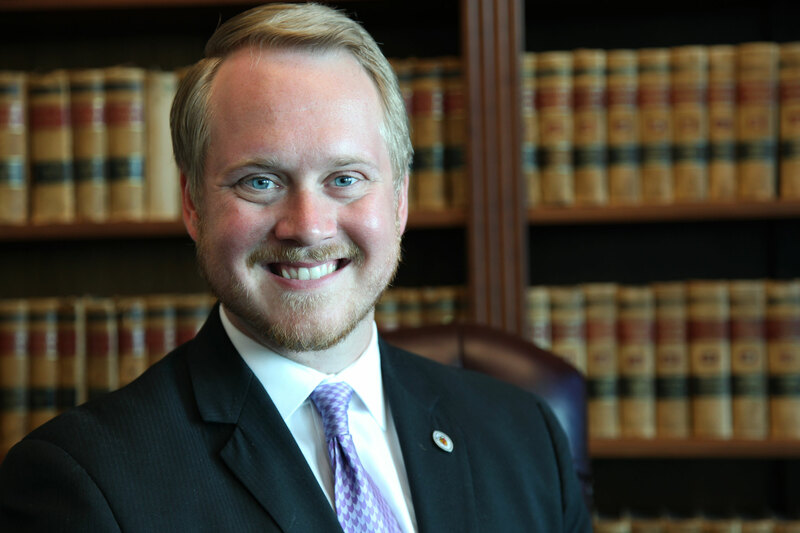 Aaron Sohaski is a January 2016 graduate of WMU-Cooley Law School. He works for the Henry Ford Health System as an attorney focusing on regulatory compliance and regulatory affairs within the health system. He enjoys learning the ever-changing new healthcare laws and regulations, and focuses on contracts and business association agreements, third party payer agreements, and works directly with others across the healthcare system. Henry Ford is the fifth largest employer in the city of Detroit with over 28,000 employees. 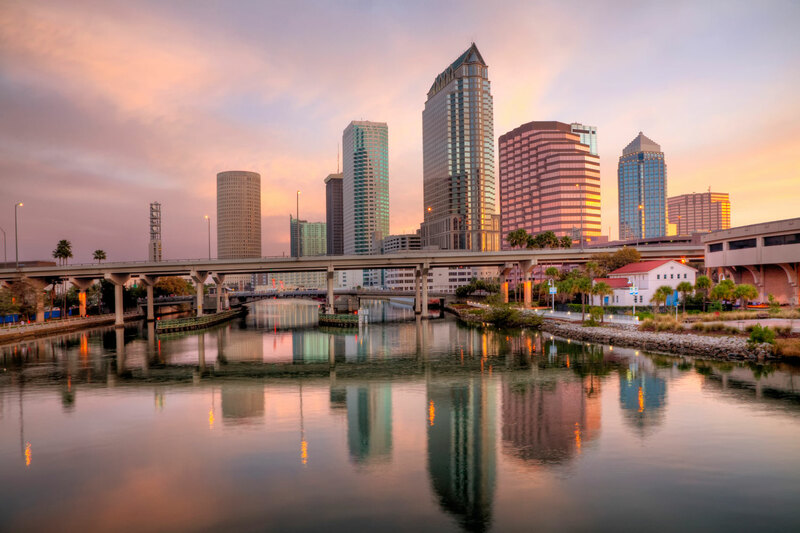 So, you’ve decided to continue your education in beautiful Tampa Bay, Florida. Smart choice! If you’re new to the area, finding places to study may seem like a scavenger hunt. There are several quiet nooks and hidden hideouts in this lively coastal region, but here are five student favorites to jump-start the process. Located in West Tampa, this European-inspired space is a restaurant, bookstore, coffeehouse,[MS2] and décor shop rolled into one. In its four years of existence, the Oxford Exchange has become a popular spot for business meetings, study groups, and relaxing. It’s important to note that the OE doesn’t offer WiFi, so it’s a great spot if you’re just looking to hit the books or write term papers. If you do need WiFi, check out the Commerce Club. A membership is required, but it includes access to the Shaw Library which features individual desks, multiple conference rooms, private phone booths, group tables, and couches for comfortable seating. The OE is open from 7:30 a.m. to 5:30 p.m. Monday through Friday and 9 a.m. to 5:30 p.m. Saturday and Sunday. Voted best teahouse by Yelp in 2014, Kaleisia Tea Lounge has become a staple for students living in Tampa. Located 15 minutes northwest of WMU-Cooley’s Tampa Bay [MS3] campus, Kaleisia features a sanctuary specifically for people looking for a quiet space to work, study, or reflect. The lounge is closed on Tuesdays but open from 10 a.m. to 10 p.m. on Mondays, Wednesday, Thursdays, Fridays and Saturdays and 12 to 6 p.m. on Sundays, giving students ample time to pack in a study session. This local favorite specializes in crafting nitrogen-infused cold brewed coffee. Operating out of the Pour House[MS4] in Grand Central, WMU-Cooley Faculty Secretary Cody Babb says it’s the best cold-brewed she’s ever had. They also offer three varieties of doughnuts from Datz Dough daily — maple bacon, Fruity Pebbles and Crème Brule. Bonus: they offer discounts to students! Take your books into Ginger Beard Coffee on #TextbookTuesday for 10 percent off. This coffee shop is best for early morning studiers, as it’s open from 6 a.m. to 2 p.m. Monday – Friday and 8 a.m. to 2 p.m. on Saturday and Sunday. If you’re looking to soak up some Vitamin D while reviewing your notes, or prepping for your next big exam, The Sail near the Tampa Convention Center is just the spot. Nestled in the heart of downtown Tampa, The Sail is a 360-degree pavilion that provides visitors with spectacular views, delicious food, and a variety of unique drink options. When’s the last time you watched the sun set while studying? The sail opens at 11 a.m. every morning and closes at 2 a.m. If you’re looking for a traditional study space, be aware that there is a plethora of libraries to choose from in the area. Brandon Regional Library and Riverview Branch Library are known to be two of the best for students. Both offer free WiFi, two and a half hours of free computer use, printing, and copying. Riverview’s library is open from 10 a.m. to 8 p.m. Monday and Tuesday, 10 a.m. to 6 p.m. Wednesday through Saturday, and are closed on Sunday, and closest to the Tampa Bay campus. If you do want to hit the library on a Sunday, the good news is Brandon Regional Library is open. 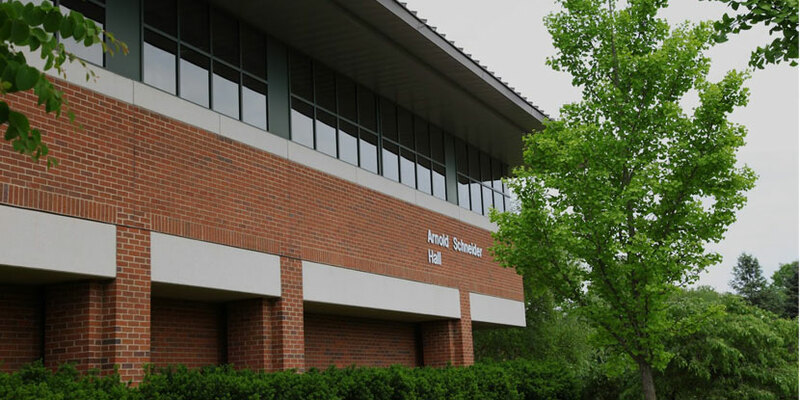 The two-story space located in the Sandy Rodriguez Center, is just five miles from WMU-Cooley’s Tampa Bay campus. It’s open from 10 a.m. to 9 p.m. Monday through Thursday, 10 a.m.–6 p.m. Friday and Saturday, and 12:30 p.m.–5 p.m. on Sunday. If you’re like most students, you’ll need a change of scenery throughout the year. So use this as a bucket list and try them all. You’ll likely find your own favorites as you settle in. Already have one? Tell us what you would add to this list in the comments section below! Howard Soifer was a proud 1977 graduate of WMU-Cooley Law School and an accomplished lawyer and a shareholder in the firm of Loomis, Ewert, Parsley, Davis & Gotting, P.C., until the time of his death on January 29, 2003 at the age of 53. It is Howard’s great passion and loyalty that the Soifer Committee created the Howard Soifer Memorial Lecture Series in Sports and Entertainment Law. The Committee feels strongly that the event is a meaningful way to honor Howard’s memory and to endow the lecture series for perpetuity. He was born in the Bronx and moved to Monsey, New York in 1963. Following graduation from the Spring Valley High School Class of 1967, he attended the University of Toledo for two years and received his undergraduate degree from Long Island University in Brooklyn. Howard’s passion for basketball, baseball, and football led him to represent several prominent professional athletes during his career. He was a dedicated family man, devoted to his wife and friend of more than 30 years, Sandy Kirsch Soifer. He was very proud of his two daughters, Marci and Halie. All who were part of Howard’s life remember him for his great sense of humor and his extreme loyalty, integrity, and strength. For WMU-Cooley Law School’s 10th Annual Howard Soifer Memorial Lecture in Sports and Entertainment Law, Todd “T.J.” Duckett, Michigan State University standout and former National Football League running back, and Joseph Bellanca (Sharpe Class, 2008), entertainment and media attorney at Hertz Schram PC, spoke at the Lansing campus this past year. In early 2017, WMU-Cooley Law School, Tampa Bay campus hosted its first Howard Soifer Memorial Lecture. Featured speakers were college football Heisman Trophy winner and retired NBA player Charlie Ward, along with president of the Sarasota Bar and college football standout Keith DuBose. Previous Soifer Memorial Lecture speakers over the past 10 years include Tom Izzo, Michigan State University men’s basketball coach and member of the Basketball Hall of Fame; Kevin Poston, president and CEO of Detroit area based DEAL Elite Athletic Management; Steve Smith, broadcaster and former MSU and NBA all-star basketball player; and Steve Garvey, former MSU and Major League Baseball all-star and MVP. WMU-Cooley Law School graduate Brandon Moultrie knew he wanted to go to law school, and knew that he wanted to do it Florida. Ever since he did his undergrad in the Sunshine State, he relished the opportunity to come back. 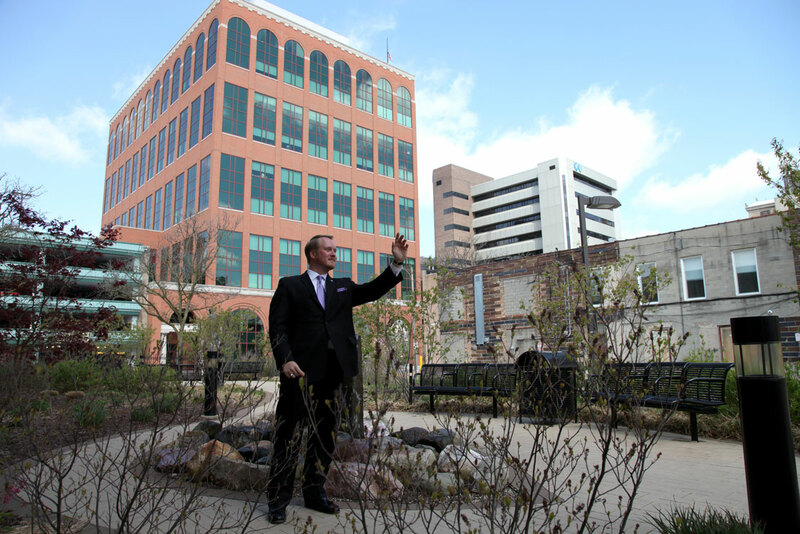 It took one campus visit to WMU-Cooley’s Tampa Bay campus to be convinced. Everybody made him feel like he was already home. Moultrie found his education at WMU-Cooley invaluable, including his Trial Skills classes, which really stood out for him in terms of how prepared he felt in the courtroom. “I also felt I forged a lot of lifelong friendships among the students. I know that people don’t really imagine when you are sitting in orientation, or sitting in your first semester class taking Intro to Law, or that the people sitting to your right or your left, or in front or behind you, are going to become your friends over the next few years, but that’s what happens. Next thing you know, you will be professionals and referring cases to them and they will be referring case to you. Moultrie also appreciated how prepared he felt during the bar. “I took the bar and passed it the first time. Not only that, I felt prepared going into the exam. The bar prep courses at WMU-Cooley teach the concepts you will need to know. For me, studying and taking the Florida bar, was not learning something new, but a matter of reviewing concepts you knew. So when I was reviewing Contracts, I heard Professor Renalia DuBose’s voice during her Contracts class from years ago – the same for my other classes. ” That’s when you really learn to appreciate the value of your school – because you know they didn’t sell you short. They didn’t just push you through or kick you out or leave you hanging when it really counts – when you’re studying for the bar. It’s obvious that Moultrie is proud of his accomplishments and his alma mater. I’m not even a big “rah-rah my school” guy, but I never imagined the pride that I would feel for WMU-Cooley. Today, when I see another WMU-Cooley lawyer walk in, I’m so excited to see them. It’s like seeing family you haven’t visited in a long time. Many I see on a day-to-day basis. “We all come from different backgrounds and different cities and states. The WMU-Cooley alumni network is far and wide. I can tell you firsthand that my fiancée, a fellow WMU-Cooley graduate, is from Los Angeles and attended the Tampa Bay campus. She went back to LA to study for the California bar. While she’s been out there though, she was able to attend a WMU-Cooley networking event. It’s kind of crazy to think that you can go to law school in Tampa Bay and still meet up with fellow graduates on the other side of the country. She already has their phone numbers and contact information! WMU-Cooley is a military friendly and designated Yellow Ribbon School. This month’s military blog feature is recent WMU-Cooley graduate Hardam Tripathi. Learn about his law school journey and his new position as an Officer and Judge Advocate with the U.S. Army Judge Advocate General’s (JAG) Corps. Early on, Hardam Tripathi knew he wanted to be an attorney. He knew he liked working with people and he knew he wanted to do something that could make a difference in his community. Yet his path to his ultimate career choice was winding. He originally thought his educational background would lead him to a career in the health industry, especially after obtaining a master’s degree in pharmaceutical outcomes and policy. But it wasn’t until he went to law school that he discovered his real passion. “I remember looking into law schools after I finished my graduate degree from the University of Florida,” recalled Tripathi. “I didn’t know about Western Michigan University Cooley Law School because it was new in the Tampa Bay area. A friend of mine, who is in the Army special forces, was attending WMU-Cooley and he had a lot of good things to say about the law school. He told me that WMU-Cooley was a great place to study law for someone with a military background or interested in a military career. He told me that WMU-Cooley was a very military friendly school and it offered a great program in support of the military like offering military law classes and homeland and a national security law review. “My friend told me that all of the professors had practiced law in the industry for many years, and they knew exactly how the law was applied. When you have a practitioner teaching you the law versus someone who is just teaching theory alone, it makes for a much better experience as a student. “Culture is key,” stated Tripathi. “Culture is who we are. It’s what we’re made up of. It is the fundamental part of life that sticks to us in all different societies. It is the United States of America. It’s culture. It is diversity. So, when you want to become a practitioner and study law, and practice law, diversity is very key. It’s something that’s so important in our day-to-day lives. It’s what attracted me to Western Michigan University Cooley Law School. During his time at WMU-Cooley, Tripathi honed in on his career options and potential by taking advantage of the law school’s clinical opportunities and extra-curricular activities. “It was during my internship with the Community Legal Service in Florida, where I discovered my interest for government work,” recalled Tripathi. “After that internship, I worked with the DEA (Diversion Control Division), the ATF (the Bureau of Alcohol, Tobacco, Firearms and Explosives), and then the U.S. State Department, where I learned about veterans law and worked with veterans. I loved it! “I then got to participate in an internship with the U.S. Air Force JAG Corp at Andrews Air Force Base in Maryland. I felt so lucky to be selected, especially since there is a lower than 5 percent acceptance rate in the program. “My experience at Western Michigan University Cooley Law School really comes down to the professors and the students. Our people are the grain that makes up this university. My professors taught me how to handle certain situations and issues and how to advocate zealously for your clients, professionally and responsibly. These are the kind of professors that we breed here at Western Michigan University Cooley Law School. They are great because they teach and ingrain these values in the students to make sure that you aren’t just a decent attorney but a great person and a great professional. I would say there are some experiences I had with my professors that will have a lasting impact on me. It was his experience with U.S. Air Force JAG Corp though that solidified his love and passion to serve in the military as a judge advocate. This past April, Tripathi graduated from Western Michigan University Cooley Law School. He found it to be one of the most memorable experiences of his life having his classmates, professors, family, friends, and all his loved ones there in support of his accomplishment. What was even nicer was that he already had a job. Tripathi has already set new goals for himself. He believes in having short-, mid-, and long-term goals, but his ultimate goal is to help his community and to serve. “What is the purpose of going to law school,” questioned Tripathi, “if it is not to help those who can’t help themselves? “I think it is very important, especially in the legal profession where you are entrusted with the responsibility to help others, that you are always professional and work with your clients in an ethical manner. My immediate goal is to serve in military and immerse myself in the legal field and profession. After that, I can see myself possibly in the U.S. Attorney’s Office as a prosecutor. Tripathi is a self-proclaimed family man. Coming from an Indian descent, he feels his background and its cultural traditions play into his dedication to family and community. Tripathi enjoys playing drums, singing, sports, and travel. “We love to sing and do a lot of singing events,” smiled Tripathi. “We will go out to different places and play music together. It’s a wonderful way instill culture and joy to my family. I also love being active and participating in sports like basketball and running. Staying active physically keeps me going. “Another important thing to me is serving on the executive board of directors of the United Nations Association. It has expanded my awareness of my culture and other cultures and learn what is going on the world around us. In India, there is a spring festival called Holi. It’s known as the festival of colors and signifies good over evil. It’s always a fun day to gather together to play, laugh, forget and forgive. The powders and colors are used symbolize love and repair of broken relationships. Traveling is also key though. We relish our family cruises and trips to other states and countries. It’s a wonderful to just get away and relax. Ultimately, we plan to make a sojourn to India.